World Humanist Day is annually observed on day of summer solstice, that usually falls on June 21. This holiday was created under initiative of the International Humanist and Ethical Union (IHEU). IHEU is an international organization of humanists, rationalists, atheists, skeptic, secular, freethought and ethical culture organizations. It was founded in Amsterdam in 1952 and currently it consists of 117 member organizations in 38 countries around the world. The idea of the observance was born in the 1980s, when several chapters of the American Humanist Association (AHA) began to celebrate it. There was no fixed day for celebration of this holiday at that time. 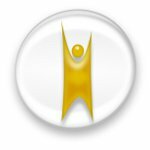 AHA and IHEU passed resolutions in the end of the 1980s at the beginning of the 1990s, declaring World Humanist Day on summer solstice. Every organization and chapter has got its own traditions of celebration of the holiday. Some gather for a picnic or dinner while the others develop social rituals, that include music and proceedings, highlighting the metaphoric symbolism of solstice and light that brings us out of darkness.